Movie Ramble: The Tree . Peter O’Neil suddenly dies from a heart attack crashing gently into a tree leaving behind a grief stricken wife and four children. 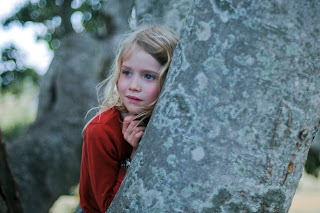 8-year-old Simone believes that her dead father’s spirit lives on in the giant Morton Bay fig tree that over shadows the family’s house, she is convinced her father whispers to her through the leaves of the tree. Confiding her belief in her mother Dawn, who also starts to pay the tree more attention, sometimes climbing up into the branches at night. The new bond between mother and daughter is threatened when mother gets a job working for the local plumber George with whom she starts a relationship. When the trees roots start to effect the structure of their house she askes George to cut them back, but quickly realises that far more drastic measures are required. 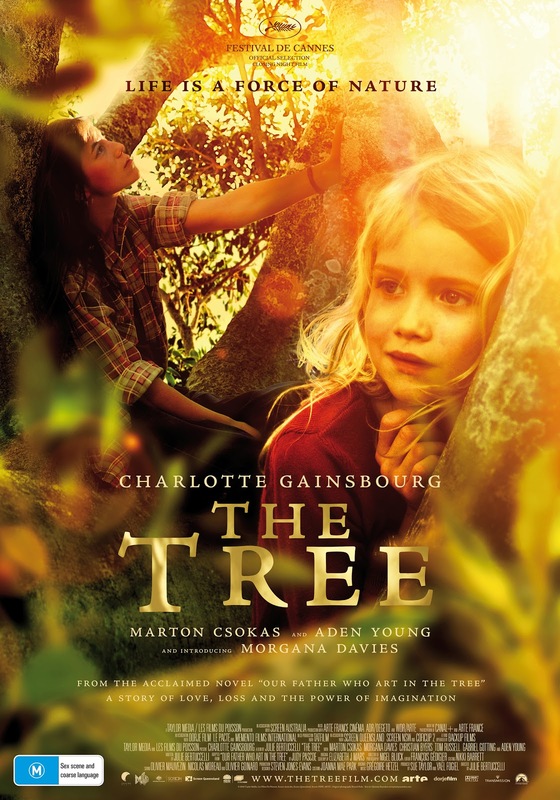 This Australian/French Co-Production was filmed entirely in Australia and according to a You Tube interview with the trees owner, the tree used in the film is located in the small town of Boonah in the state of Queensland. It has a 34m spread, 20m height and 2.31m diameter at 1m above ground, which is the narrowest point. The tree has low branches, which have not been pruned off, and when they are laden with fruit they reach the ground. It is estimated that it was planted in 1880. 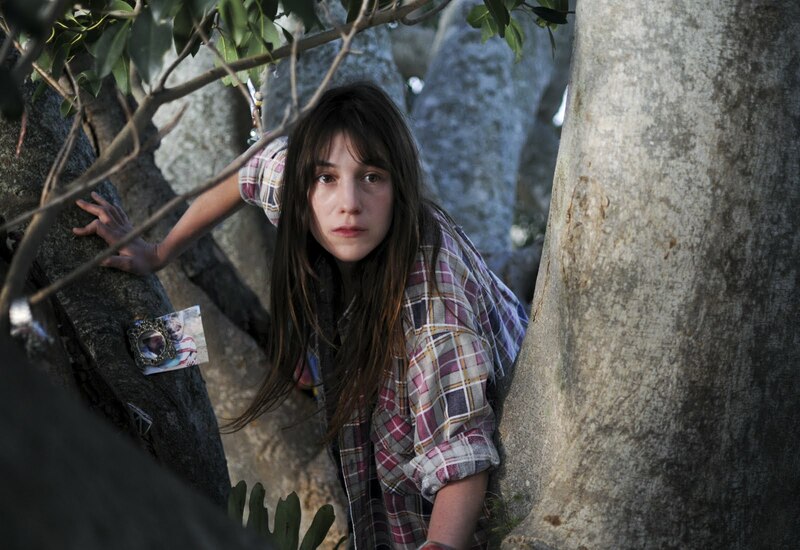 Charlotte Gainsbourg as Dawn O'Neil. Adapted from Judy Pascoe’s strangely titled novel Our Father Who Art in the Tree The Tree (2010) was directed by Julie Bertuccelli, a French film director who worked as Assistant Director to some very well known directors including Krystof Kieslowski on Thee Colours: Blue (1993). The film stars Charlotte Gainsbourg, who won Best Actress Award at the Cannes Film Festival for her role in Lars von Triers strangely compelling Antichrist (2009) as Dawn O’Neil. 7-year-old Morgana Davies plays Simone and if her debut performance is anything to go by then I’m sure we will see her in many other roles. The New Zealand actor Marton Csokas plays George. 11 year old Tom Russell is Lou, Gabriel Gotting, only 4 years old is the blond blue eyed Charlie and the oldest of the four children is Tim portrayed by the 16 year old actor and singer Christian Byers. This spiritual fairy tale is a melancholic reflection on the affects of the traumatic loss of a family member; it brings to mind Rabbit Hole (2010) that also dealt with much the same subject. 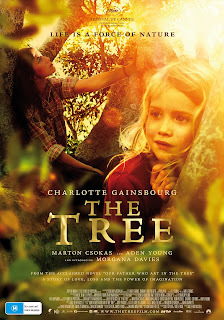 It’s the tree that is the real star of the film and its main focus, symbolizing both grief and family ties. Beautifully shot with a great soundtrack, the film was chosen to close the 2010 Cannes Film Festival where it received a seven-minute standing ovation.